WEST END COTTAGE: My Thermomix Died! Well it didn't actually die - it still worked, but I kept getting these pesky alarms and error messages which were becoming a tad irritating. As I was still within my two year warranty period I contacted my Rep and she organised the rest. A courier came, picked up the machine and within a week it was sitting back on my bench top. But whilst it was only gone for a short time, I really did miss it. I use it daily - actually three to four times a day at least. My poor machine really does cop a flogging. 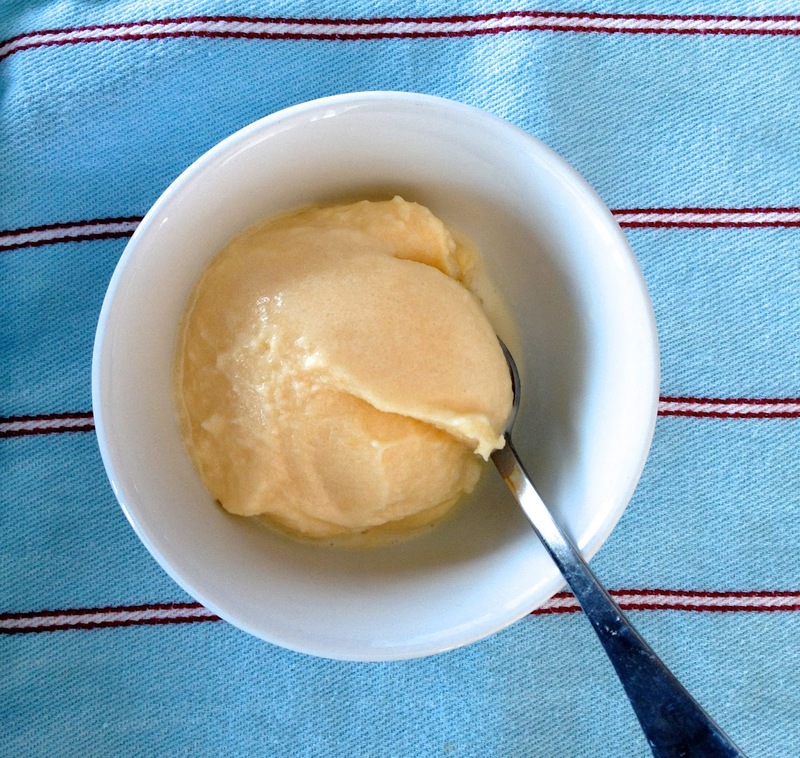 Vanilla Ice Cream (yes I make my own.) And the reason for it's slightly cream-coloured appearance is that I use Full-Cream Unhomogenised Guernsey Milk from Maleny Dairies - it's the best milk! Ciabatta, a classic Italian bread, has lots of large air pockets and the most delicious crispy crust. 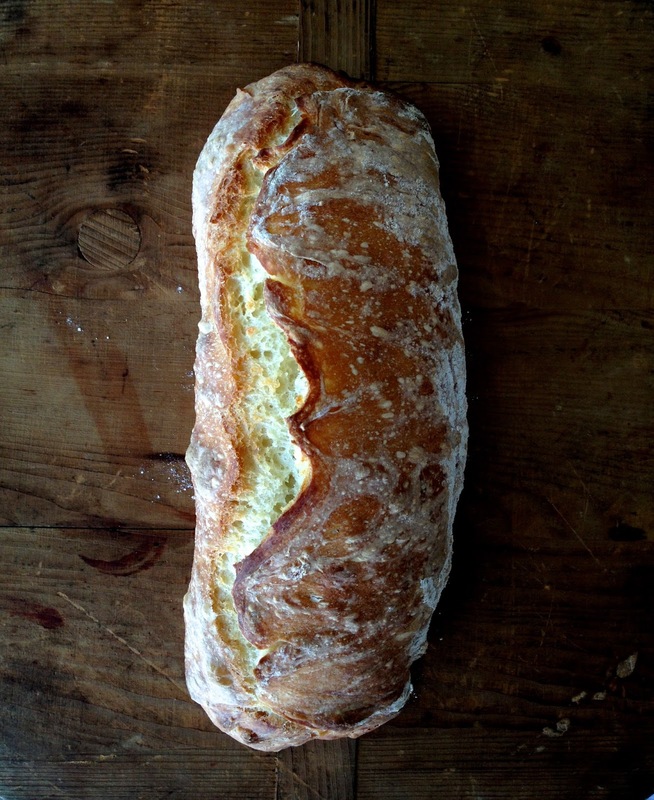 This bread recipe is made up of four simple ingredients: water, flour, salt and the tiniest bit of yeast - that's it. I made the dough (mixed in 30 seconds) which sat in a lightly oiled bowl overnight. Then this morning I placed it onto a floured tray and into a hot oven for half an hour - done. How easy is that? 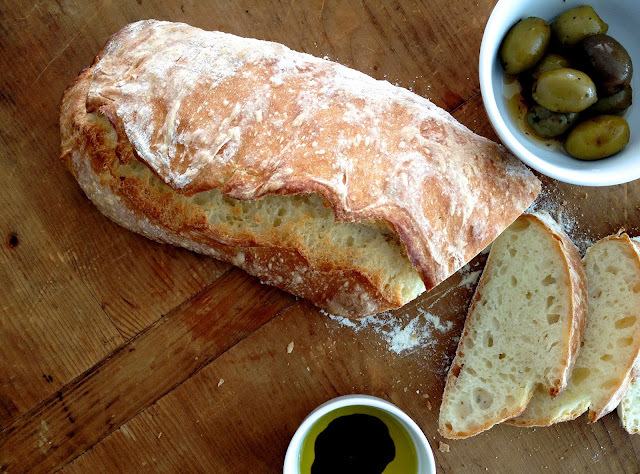 There is nothing like the smell of freshly baked bread and the taste and texture is truly amazing. I know we've got the markets and Sol Breads just up the road, but at $7 a loaf, making this at home is far cheaper and it only takes 30 minutes to cook, which is the time it would take me to get to the shop and back. I will be sharing the recipe over here soon. Thermomixes kind of mystify me. So many end results, one small machine. I would love to own one one day - for now, I'll just drool over the end results from yours. Argh! You are killing me! There was a Thermomix demo tent at the Red Hill Fair today and I was so close to buying one! Fingers crossed for a big tax refund! That food looks beautiful, your pics are stunning! I lost my mojo with baking, you may of just kick-started it again! Can't wait for the ciabatta recipe! I spent 3 months in Europe and every lunch was ciabatta (or similiar), cheese and tomato. I could eat it forever. The simplest things .... but done to perfection. I love friands! can smell the bread from here, yum.